As an obsessive reader of words, particularly in cases where at least one of them promises to be “wine”, I get through a lot of wine reviews. Despite this quantity I have a habit of remembering, at least for a little while, the names of things that get enthusiastically recommended. And if I see the same wine recommended twice in quick succession, I’m considerably less likely to forget it. Then, Victoria Moore in the Telegraph picking her best festive wines: 1. McWilliam’s Mount Pleasant Elizabeth Sémillon 2005 Australia There is simply no better white to sip with hot smoked salmon … Shot through with inflections of preserved lemons and hay, this unoaked sémillon takes on a toasty note as it ages that weaves around the smoky fish. Superb, at an extraordinary price. 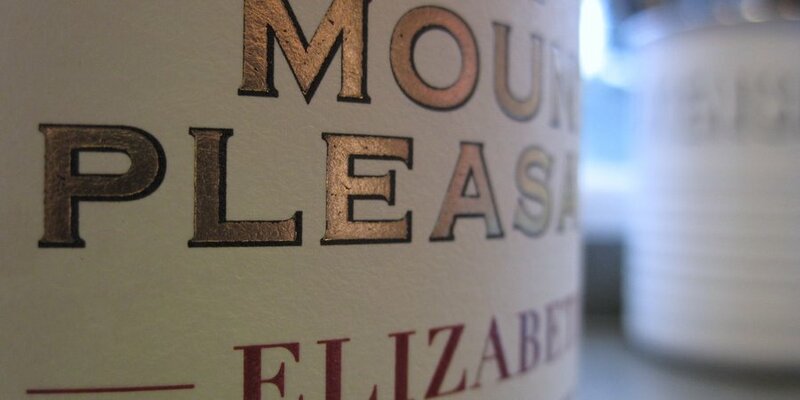 Finally, wine writer and blogger Sarah Ahmed, aka The Wine Detective: It gives me great pleasure to give you the heads up on a stunning Semillon bargain – as of today, Sainsburys are stocking a new, limited parcel of McWilliams Mount Pleasant Elizabeth Semillon 2005 priced at only £8.99. At any rate, (and most definitely at this rate!) it’s a snip for a wine of this class, not least in this outstanding vintage. All of which has got to make this possibly the most popular supermarket wine in Britain at the moment. What’s more, they were all getting excited when this wine cost £9.99 at Majestic, or £8.99 at Sainsbury’s. But in Sainsbury’s ongoing (until Friday) 25% off six bottles or more offer, that comes down to £6.74. At which this creamy, zingy little vixen becomes even less resistible, offering genuinely astonishing value for money. While you’re there, the Ravenswood Lodi Old Vine Zinfandel, a welcoming embrace of calming wintry redness, is on special at £6.99, which becomes £5.24 if you’re buying six or more. My final Sainsbury’s tip is a Yali Three Lagoons Carmenere, on special offer at £7.49 from £9.99, which becomes £5.62 in the deal – a sensual if not particularly thought-provoking red from a reliable and eco-friendly Chilean producer (not so eco-friendly, though, that they don’t use fairly heavy-duty bottles for their top-level wines). So what are you waiting for? Get on your bike, unless you’re off your trolley. This entry was posted in Uncategorized and tagged carmenere, elizabeth, mount pleasant, sainsbury's, semillon, zinfandel. Bookmark the permalink.